Mt. 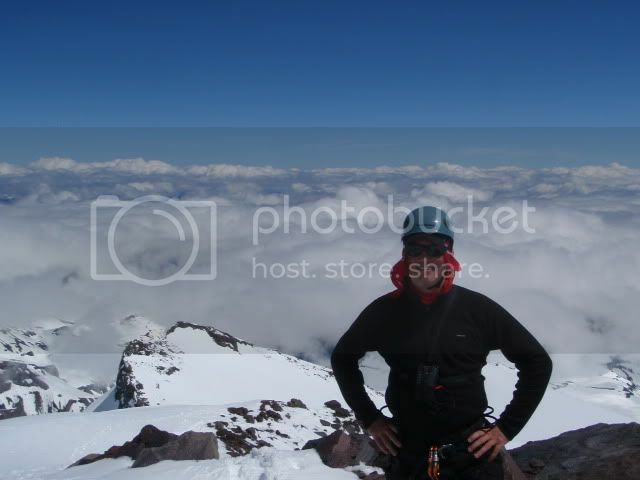 Rainier is 14,430 feet above sea level and is a very challenging mountain to climb. Bill's group made it to high camp but decided that attempting to achieve the summit was too dangerous based on the loose snowpack and the potential for avalanche. Just the week before, 12 climbers were swept away due to avalanche. There was one fatality as a result and the climber is still buried on the mountain. The climb involved climbing to Muir base camp on an average 45 degree slope for 5 hours with a 50 lb pack. Definitely a challenge that requires excellent physical and mental conditioning. Only about 40% of attempts result in a successful summit. Better luck next time, Bill! The Nationally Recognized 'Gate City Series' Continues: BETRAYED BY A MASON? The Tragic Mission of Lieutenant Thomas Boyd.